March started with for two important events for the Trust Fund for Victims (TFV) of the International Criminal court (ICC). This is good news for the victims of the most heinous crimes worldwide, such as genocide, against humanity, of war and aggression. In 2018 the TFV received contributions from states, political parties and private donors of over €4 million. This means an increase of 37% from the previous year. It seems governments have understood the vital role of the TFV within the Rome Statute system to provide the opportunity for victims, survivors and relatives to recover their dignity. As the press release from the TFV establishes, the contributions included installments of multi-annual unrestricted funding arrangements (the Netherlands, and Sweden), as well as multi-annual earmarked sexual and gender-based violence (SGBV) programmes (Finland), contributions designed for the Trust Fund’s reparations and/or assistance reserve (Ireland, Germany), as well as for specific awards (the Netherlands, Norway, and the United Kingdom). The Trust Fund also received contributions from new or returning donors, including Austria, Denmark, Mali, New Zealand, Philippines, Slovakia, Slovenia, Spain, and Uruguay. No doubt it was a good year due to the work of the Board of Directors and the Secretariat. However, It will be necessary to strengthen the capabilities of the TFV to reach private funding. On the other hand, the recent ruling from the ICC Trial Chamber VIII on the reparations on the Al Mahdi case renews the hope of reparative justice. Al Mahdi was found guilty of war crimes after intentionally directing attacks against religious and historic buildings in Timbuktu, Mali, between June and July 2012. A jail sentence of nine years was ordered. This latest ICC decision means more efficient proceedings to make the reparation aim of the system a reality. The ruling accepts the Updated Implementation Plan (UIP) submitted by the TFV on a broad number of issues, including collective compensations, protection of buildings, economic harm and symbolic reparations. The TFV has to report periodically to the Trial Chamber VIII, but it has the flexibility to make sure to accomplish them within a three-year period. This means that the TFV has to face the challenge to be strong, super active and pragmatic to fulfill the tasks it has committed to perform before the Trial Chamber and the victims. 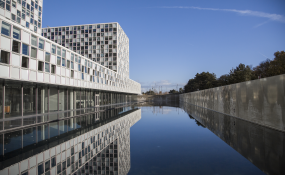 Many non-Governmental Organizations (NGOs) have requested that the ICC have a more victim-centred approach. This decision moves the Hague court in that direction, and happily the TFV has played a relevant role. It has to be emphasised how the Draft Implementation Plan (DIP) and the UIP were handled, including close consultations with the Legal Representation of Victims. Additionally, the TFV currently implements reparations awards in the cases of Lubanga and Katanga, and within the assistance mandate in Uganda and the Democratic Republic of the Congo. New assistance projects and activities are in development in Cote d’Ivoire, Central African Republic, Georgia, and Kenya. In conclusion, these two events are positive steps to make the system work, but it will be necessary to try harder to show that the system really aims to punish the criminals and to protect the victims and survivors. Marc h started with for two important events for the Trust Fund for Victims (TFV) of the International Criminal court (ICC). This is good news for the victims of the most heinous crimes worldwide, such as genocide, against humanity, of war and aggression.